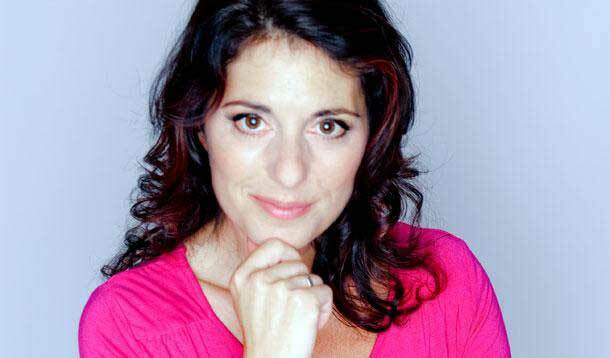 One of Canada’s most recognized personalities, Erica Ehm began her career as the first female VJ on MuchMusic in the 1980s. In addition to two decades on television she is also an award-winning songwriter and an accomplished author, playwright, actor and journalist. After becoming a mother, Erica was looking to connect with women going through similar experiences. She found there were a lot of web sites about parenting and children but, as she says, “the kids are fine – why was no one talking about the moms? We’re the ones freaking out!” This inspired her to create and publish YummyMummyClub.ca, an online magazine for modern mothers. Empowering and inspiring, but playful and cheeky in tone, the site covers a wide variety of topics including relationships, health, style, books, travel and more – all seen through the lens of motherhood. The site now has almost 40 contributing bloggers. I was in the audience to hear Erica’s keynote speech at the 2012 Social Media Camp in Victoria. As she took the stage there were audible whispers from those in the crowd with fond memories of her from MuchMusic: “She looks JUST the same!” Speaking from the viewpoint of someone who is “not a social media expert” but is “somewhat addicted” to Twitter, she was down-to-earth, funny, and incredibly approachable. Her overall message to social media users could also be taken as good advice in business, or life in general: Be yourself. Be authentic. Make personal connections. Have real conversations. Feeling inspired by another conference speaker who had said “don’t be afraid of getting no for an answer,” I approached Erica before her speech, hoping she wouldn’t mind if I came up to say hello while she was getting a cup of coffee. I explained what Pennello Lane is about and asked if she would mind answering a few questions. Not only did she agree but, rather than saying she’d email later, she invited me to sit down with her for an interview after her speech. Trying to keep my inner teenage girl calm (it’s Erica Ehm! She interviewed Duran Duran! ), I got to interview the interviewer. I was curious about the motivation and drive behind this multi-faceted creative woman. You were Canada’s first female VJ and you were called “the voice of a generation,” were you conscious at that time of being a ground-breaker? I think so, because I knew that I was the first, and I knew that MuchMusic was über-cool and changing the way that television was being made and the way that music was being presented, so that’s why I wanted to be there. I didn’t understand the effect that I would have on people, though. The reality is, people who are famous usually look a certain way, and they act a certain way, and I don’t look like a movie star. I’m ethnic and not skinny, and all those stereotypical classifications of beauty – I’m not that. And yet, what’s so great is that people found me, and find me, beautiful, which says that all those idiots that make TV and advertising now – they don’t understand what people really want. People are looking for beautiful on the inside. They don’t care about all this superficial beauty, that doesn’t move people. Who was your most memorable interview? There’s a variety of them, Sting was incredible to interview just because he’s so great and charming, but I loved interviewing Anne Rice, for example, when she was doing the vampire books and then I was also all jittery when I interviewed Carole Shields, who wrote one of my favourite books, The Stone Diaries. I like talking to authors, I find that really amazing. But I interviewed Lyle Lovett and Ricky Lee Jones and that was a real thrill for me because their music really moves me. It’s just people whose work I really respect, and then I get to talk to them, and that’s what turns me on. Sounds like a great job! It was. I don’t do it anymore. I still could do it, but with my web site I just don’t have time. With everything you have going on now, your business and raising a family, are you still in touch with the music scene? It’s funny you bring that up, because I’ve been really lamenting lately that I’m not. The last song that I wrote was the theme for a movie that was recorded two days before I went into labour with my daughter, eight years ago. I haven’t been writing. It’s sad and disappointing. Some of my songs are still being recorded, but I haven’t been writing and it’s been bothering me lately and I’m wondering, will I ever find that time again that I used to have to create. Now my web site is so all encompassing and ironically social media is a real time-sucker, so between those two things I haven’t had the time to do it. I’m not a musician, I’m a lyricist, so I would have to search out a musician and start that whole process again and I don’t have time to do it. I’m attracted to really intelligent, creative women. People who have their own voice… and they have something that adds to the world in a positive way. How do you balance the challenges of being a mother and running a business? I don’t balance it all. I’m completely out of balance and I try and get everything done that I have to get done, and sometimes I fail, and sometimes my family suffers, sometimes my work suffers, usually my health suffers… you know, something’s got to give all the time. That’s the challenge of wanting to have it all, you can’t. So something always has to give. But that’s ok. I’m ok with it, because I give myself permission to fail, so that I can still do all the things that I love and I don’t beat myself up afterwards. Did you always have a clear idea of what you wanted to do? I did. When I was very young I wanted to be a teacher and an actor, and that’s really what I did on Much Music, isn’t it? My dreams have come true. I always wanted to write a book, and I ended up writing a book in the mid ‘90s called She Should Talk, which was a series of interviews like this with exceptional women who were realizing their dreams. And then I always wanted to be a songwriter and then I connected with some musicians and ended up writing a ton of songs and putting out albums and winning awards and that kind of thing. Then writing a kids’ book [The Mischievous Mom at the Art Gallery] with Rebecca [Eckler] and then starting my web site, which is a platform for other women to share their voice. I have an ok voice, but I know that my voice is stronger when I’m surrounded by other people’s. So that’s always been important to me. I sort of paved the way, but I want everyone to come with me. That’s what the YummyMummyClub.ca is – it’s a tapestry of voices of motherhood, of passionate women who have something really important to share. It’s very creative, what you’re doing. That website is incredibly creative. First of all it’s visually creative. You know, we were talking about building the logo, creating a logo that really represented all our voices. There’s the visual representation of my vision of what we’re doing, and then it’s finding all these amazing women, who each have a unique voice and a unique passion and then when we build our home page there’s the art of placement of all these different pieces of content that every day it should be a snapshot of motherhood. So it’s incredibly creative, and that’s what I love to do. So it’s a different creative outlet you have now, even though you don’t have time for other ones like writing. Right. I’m not complaining, I have a ton of creativity in my life. Like I said, you can’t do it all, all the time. When you were first starting out, and throughout your journey, what women have inspired you? Oh, there’s so many. Sarah McLachlan, Jann Arden… I’m attracted to really intelligent, creative women. There are so many people it’s hard to name them, but I guess my mother is one of the women who inspires me. I think it’s people who have their own voice… and they have something that adds to the world in a positive way. That ties in to what you spoke about in your keynote speech, in terms of authenticity and having a voice. Yeah, and I think that’s why people are attracted to me because I’m unabashedly me. I just throw it out there. I’m a communicator, that’s my skill. I put myself out there and people are kind. Someone asked about the negative comments [on Twitter]… they’re rare. Very rare. That’s good to hear. What advice you would give to someone dreaming about a creative career? Well the first thing seems quite simple, but you have to start. You have to do it. And then be prepared to work really, really, really hard. And then work a little harder, and then put some more work into it, and then continue working. That’s the difference between people who are successful and people who aren’t. You know, I read Malcolm Gladwell’s book [The Tipping Point] and he has this theory about 10,000 hours. It’s those people who put in those hours, who become good at what they do, right? It’s not just people who are talented, it’s people who are passionate and put in the work. A lot of people are creative, but not a lot of people put in the time and effort required to finesse and really finish the projects that they start. Thank you, Erica, for taking the time to sit down and talk with me, and for challenging me to my first in-person interview! All images courtesy of Erica Ehm. Great post! I remember Erika Ehm from MuchMusic (of course!) and I’m happy to read about what she is doing now. I love what she said about putting in the hours to become good at what you do. I’ve always thought I wasn’t “born” with a talent like my guitar-virtuoso Dad. Erica, thank YOU for giving me your time and such thoughtful responses, it was such a pleasure to meet you. And I’m so honoured to receive such a compliment from you!! Wow Kate – high praise from Erica – and very well deserved. You really captured her personality and enthusiasm for life! Popped in from SITS. I love this. One of my biggest fears about being a mother is that I won’t have time to be creative or will have to put my writing and art aside. Even though I can’t do it all, I’m just thrilled to do something, like she does her Web site even though she can’t act or sing right now….Inspirational! I’m glad you were inspired by this interview! Thanks for stopping by! What a fun interview. I’ve never heard of her or her website, but it sounds like a wonderful idea. And I absolutely agree about voice. My favorite bloggers are the ones who aren’t afraid to show who they really are and communicate authentically. Thanks for sharing. Have a great weekend. Stopping by from SITS.